Finding a doctor to take care of all your health needs can be challenging. 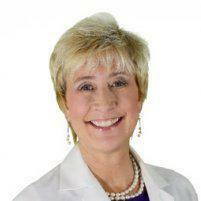 Dr. Pamela Gaudry, MD, NCMP, FACOG, is a women’s health expert and offers primary care medicine at the Georgia Center for Menopausal Medicine in Savannah, Georgia. To get all your medical needs met at one office, call today or book an appointment online. A primary care physician manages all of your healthcare needs, when you’re healthy and when you’re sick. It’s important to establish a relationship with one physician to help track and manage your health. As your primary care physician, Dr. Pam’s goal is to make you feel good and stay healthy. As a women’s health expert, she knows every test you need throughout your life to help keep you well and capable of living a full life. What are common health concerns that affect women? Dr. Pam understands women’s specific healthcare needs, and provides treatment aimed at monitoring these needs, taking preventive action, and helping you manage any chronic conditions such as diabetes, high blood pressure, and heart disease. As a menopause specialist, Dr. Pam also provides the care you need to help manage your symptoms and the additional health concerns that come with the reduction in your estrogen levels, including osteoporosis and vaginal health. What type of tests do I need? How often do I need to have a mammogram? You need a mammogram every year after age 40. Monitoring breast health regularly helps detect breast cancer early, which may improve outcome. There are multiple options for mammogram testing. Dr. Pam helps you determine which test makes the best choice for you and whether additional testing is necessary, such as the CAD or genetic testing for the breast cancer gene. For help managing all of your healthcare needs, including gynecological, call the office or book an appointment online.